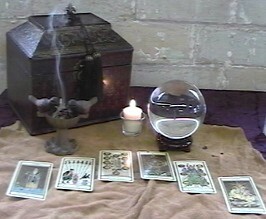 Allegheny Candles and metaphysical store is a new age shop that offers Wicca supply, divination tools and psychic development products in Pennsylvania. I don't just sell metaphysical products, I use them as well and will be happy to answer any questions you have on my products or service. My mystical shop includes candles, incense, tarot cards, crystals and jewelry. I have many metaphysical items that may help you on your own journey or a unique gift for someone else. I spend a great deal of time looking for quality and affordable products to help folks on their spiritual journey. Many of my metaphysical products are handmade by local or American craftsmen. Handmade ritual and divination tools have a good energy to them and are better suited for energy work than those that are mass produced. 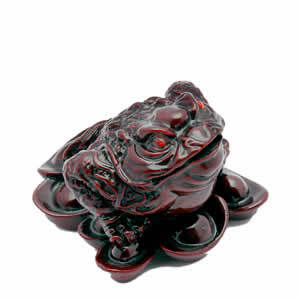 My feng shui products are imported from China which is where the practice originated. My incense, mystical clothing and celestial decor is imported from India which of course is a very spiritual country. 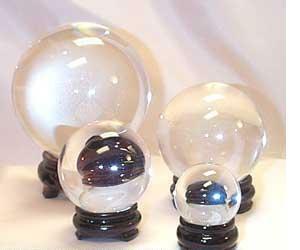 I carry a good selection of metaphysical products including, crystal balls, pendulum kits, runes, tarot cards and psychic development tools which are all made in the USA. I have a sale on many items on my Etsy site. Share this wonderful colonial holiday tradition with your family and friends. Bayberry candles make a perfect gift idea for those who are hard to buy for. 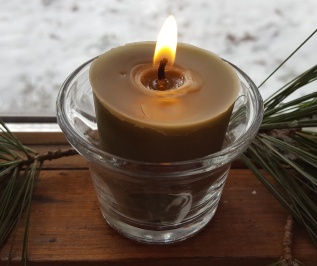 Bayberry candles are believed to bring good luck in the new year. To learn more about the history behind the bayberry legend, check out my bayberry candle page. order early because I often run out before the holidays arrive. I offer a variety of high quality candles in many unique fragrances as well as unconventional candles like floating oil candles. Because it is a metaphysical shop, I offer candles for spiritual use that are charged with reiki healing energy to suit your magical needs. My candle styles include: scented jar candle, real bayberry candle, natural soy candle and votives, spell candles and oil candles. Smudging is a Native American tradition in which herbs (primary sage) are burned to remove negative energy. I carry a wide variety of sage smudge sticks and herbal smudges for a smudge ceremony. My crystal and metaphysical jewelry are not just for looks. If you walk a spiritual path, then you are sure to find something here that will appeal to you. I carry some very unique new age jewelry that you can wear to remind yourself of your sacred journey. My new age and crystal jewelry includes: chakra jewelry, crystal pendants and bracelets. Chakras are energy centers in your body. When they become unbalanced, your energy flow is interrupted which may result in physical, emotional and spiritual problems. Chakra energy healing is a painless yet effective means to balance the chakras and restore your body, mind and spirit. 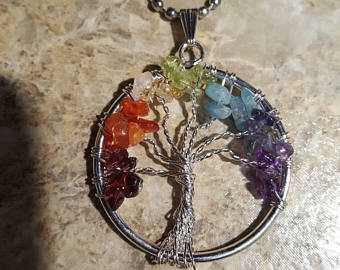 I offer chakra healing tools such as a chakra crystal healing kit, chakra jewelry and crystals that may help you balance and energize your chakras. Copyright © 2017 Allegheny Candles. All Rights Reserved.